Ms. Beverly Nell Gardner Galloway, 84, of Horn Lake, MS, passed away Sunday, May 13, 2018, at Baptist Memorial Hospital-Memphis, located in Memphis, TN. She worked at Dover Elevator Corp for twenty-seven years. 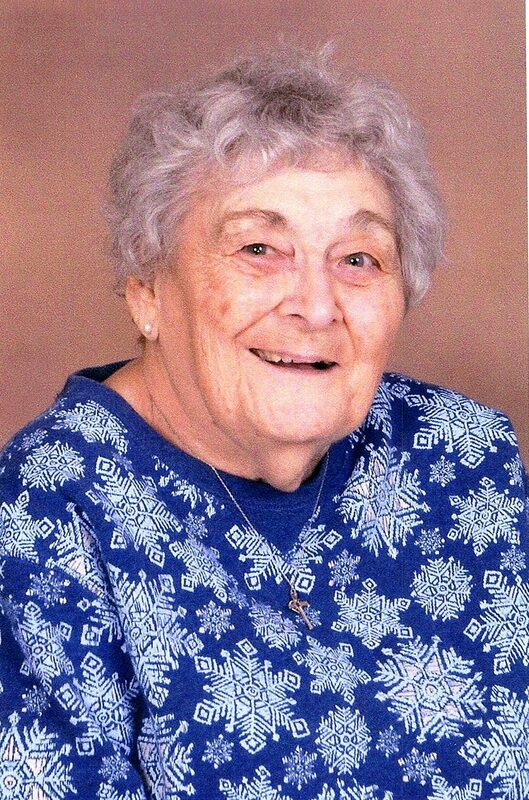 Ms. Galloway was a member of Christ the King Catholic Church, located in Southaven, for forty-six years. She loved her church and church family and was extremely strong in her faith. She definitely had quite the sweet tooth and loved eating watermelon, ice cream, and cupcakes. Ms. Galloway enjoyed working word search puzzles, playing the piano and listening to classical piano music, watching westerns, and reading romantic novels by Nora Roberts, or “toe-tappers” as she called them. Being part Irish, she loved Irish culture and had longed to travel and visit Ireland. Above all else, Ms. Galloway loved and cherished her family. She adored being a mother and a grandmother and would give her life for her family. She loved her parents and shared a close relationship with her father. Ms. Galloway loved reminiscing and sharing memories of her childhood with her children. Many of the stories she shared involved the adventures of herself and her cousins, whom she was extremely close with. Ms. Galloway lost her youngest daughter, Beverly Lynn or Baby Lynn as she called her, at the young age of three months. This heartbreak helped shape her in the caring woman that she was, who always put others’ needs before her own. Anyone and everyone who came in contact with Ms. Galloway described her as being such a sweet and kind person. Ms. Galloway’s legacy will continue to live on through the countless memories she made with her family and friends. Ms. Galloway leaves behind her three daughters, Rayna Cobb (Eddie) of Cordova, TN, Terri Rochelle (Eddie) of Walls, MS, and Margie Knighten (Corbin) of Southaven, MS; three grandsons, Ryan Rochelle (Charity) of Walls, Alan Rochelle of Walls, and Steven Cobb (Megan) of Cordova; four granddaughters, Melissa Marler (Jacob) of Lakeland, TN, Meagan Sneed (Blair) of Hernando, MS, Jessica Holland (Jennifer) of Olive Branch, MS, and Anna Presley of Southaven; three great-granddaughters, Zoe Rochelle of Walls, Cali Rochelle of Walls, and Elizabeth Cobb of Cordova. Ms. Galloway also leaves behind a host of loving cousins and other family. She was preceded in death by her daughter, Beverly Lynn “Baby Lynn” Galloway; parents, Cecil Edmund Gardner and Dorothy McCrarey Gardner; sister, Rayna McDonald; and grandson, Byron Mallett Jr. She was also preceded in death by her two beloved fur babies, Penny and Buffy. In lieu of flowers, the family asks that donations and memorials in honor of Ms. Beverly Nell Gardner Galloway, be made to Christ the King Catholic Church (785 Church Rd W, Southaven, MS 38671). Visitation will be held Wednesday, May 16, 2018, from 11:00 A.M. – 12:00 P.M. at Christ the King Catholic Church (785 Church Rd W, Southaven, MS 38671), with the funeral mass following at 12:00 P.M. in the chapel. Interment will be at New Bethlehem Cemetery in Horn Lake, MS. Father Thi “T” Pham will officiate.